Adam Head from Solho EU gave a presentation about their developments of a new innovative system called SPRHOUT (Solar Powered Horticultural off-grid unit). The system uses sun and sea water as an input to generate all the energy goods required to operate a greenhouse facility: heating, cooling, CO2, electricity and fresh water. 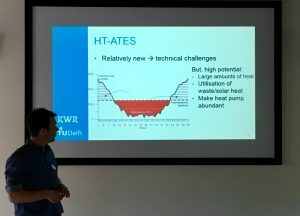 Martin Bloemendaal from KWR Watercycle Research Institute gave a presentation on new innovative systems for Geo-thermal storage such as the HT-ATES systems (High Temperature Aquifer Thermal Energy Storage) which can be implemented to store geothermal energy. Bart van Meurs from Bart van Meurs Productontwikkeling gave a presentation on energy transition for greenhouses. Bart talked about how he is able to initiate and manage projects in the field of product development in greenhouse horticulture. Between abstract idea and market ready products. 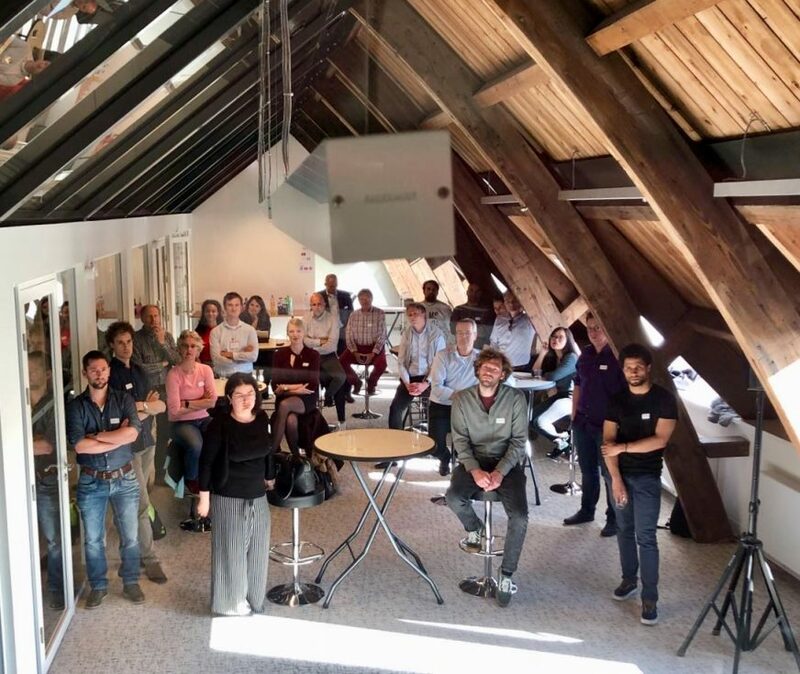 Lucien Fesselet from Inholland presented a new innovate product developed by the four Aeronautical Engineering students at Inholland Delft currently working on the Drones for Greenhouses project. The team envisions a solution in the form of a drone capable of flying through greenhouses and analyses the plants. Thank you to everyone that joined us for our last Energy Talks&Drinks at Buccaneer Delft, and a big thank you for the speakers. We hope to see you again at one of our Energy Talks&Drinks.